Thailand Costume Jewelry Companies design, manufacture and export worldwide a whole range of artificial and fashion jewelry products. 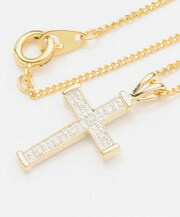 Costume jewelry is also known as fake jewelry or fashion jewelry. It is jewelry that is made of non precious metals and gemstones, glass, plastic and base metals that are often plated with silver, gold or rhodium to give them the look of much more expensive jewelry items. Bangkok Companies is a full service product sourcing company in Thailand. For All your costume jewelry needs please email bangkokcompanies@gmail.com with your requests..
Our company, located on the door of the golden triangle, takes both benefit of the ancestral knowledge of these jeweler lands and the European experience of industrial methods and high quality standard in the jewelry market place. Specialized in the conception, development and manufacturing in sterling silver, gold-plated, stainless steel, tin, aluminum, carbon, tungsten and titanium raw materials, Barcalon Co., Ltd. propose a large range of jewels, components and accessories customizable according to your needs, your design, your markets and customers. We propose a production s assistance for manufacturers (domestic and overseas) in up capacity or research of alternatives in term of cost improvement. We assure the sub-contracting of small, middle or large ranges and partial or the complete production process. Our design can be customizable according to the wish of the customer. Barcalon Co., Ltd. can propose a large range of color for the wood, enameling, resin, shell, and cord such as a large range of spare parts and chains. We are, the gemstones cutter, specialized in fancy semiprecious stones such as amethyst, citrine, garnet, blue topaz, peridot etc. We also supply cubic ziconia and synthetic stones as well. 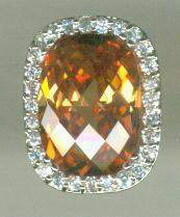 Most of our activity is to supply the gemstones to jewellery factory in Thailand. We do the service to provide the jewellery accessories by importing worldwide to support our customers such as finding, leather cord. We are a costume jewelry designer in Thailand. We make hand made costume jewelry in many designs, only one piece per one design. The price range starts from 250-400 US Dollars. The size is independent, up to the style. We are Hong Chiao Jewelry Co., Ltd.; a manufacturer & exporter of Sterling Silver and Costume Jewelry established since 1980 in Bangkok, Thailand. Our product ranges are earrings, rings, bracelets, bangles, pins, pendants, and necklaces; casting by many kinds of material such as sterling silver, white metal, and brass with silver or gold plating. All of findings can be decorated and mounted with variety stones such as CZ, gems, semi-precious stone, and crystal. Now we have over 30,000 designs in hand at very competitive price. Besides, we have launched more than 100 new modern designs each month. Our production capacity is 600,000 pieces per month. 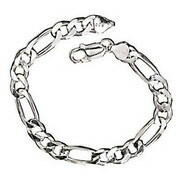 If you are an importer of sterling silver & costume jewelry. Products: Sterling Silver, Costume Jewelry, Our product ranges are earrings, rings, bracelets, bangles, pins, pendants, and necklaces. Millions And More Beads Co., Ltd.
We are a manufacturer and exporter of exotic handmade bead jewelry. Our remarkable jewelry collections are delicately created and designed by professional artisans from Chiang Mai, a province of northern Thailand . Delicately handmade using a special stringing technique, our bead jewelry becomes soft and flexible in appearance like no other. Artisans specializing in fashion and design arrange and stylize each item creating timeless products reflecting the high-end standards of our consumers. For quality assurance, each of our beads are screened and selected for consistency in size, color and its polished gleam. Customers may also personalize their bead jewelry with our made-to-order service altering size, color or designing the piece of jewelry themselves. Preen jewelry Co.,ltd. Is one of the new manufacturer and exporter in Thailand, was established since 2000 as the small entrepreneur. And in the present time is going to flourishing achievement. 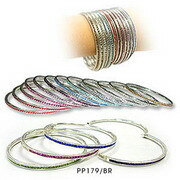 At preen, we do have various of jewelry: Earrings pendants bracelets bangles necklaces. We dealed with sterling silver 925 with stones, marcasite and costume jewelry which high quality production that from our policy. The Glory Co, Ltd. concentrate our efforts on the creation of distinguished fashionable designs to stand the taste of time. We Endeavour to control the raw material through a stringent grading system to ensure we meet and surpass your expectation. 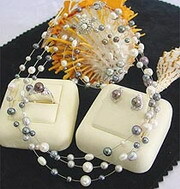 Our Pearl and Silver jewellery is thoughtfully created with quality in mind. Our team is able to customize your design requirements exclusively for you and your discerning customers. 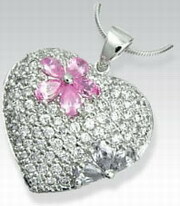 The shaker Group Co. Ltd manufactures and supplies fine sterling silver jewelry of the highest standards. Founded in 2001 by a group of industry professionals, SilverShake Com is a one-stop online silver jewelry store, combining a huge selection of up to date high quality silver jewelry with exceptional customer service and professional advice. Our goal is simple, offer in-trend, high quality, and finely finished sterling silver jewelry, for realistic prices, while maintaining 100% customer satisfaction. With up to 1,000 new stylish designs added every month, SilverShake. 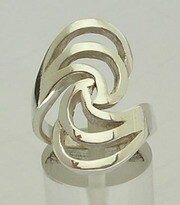 Com is your first choice for up to date silver fashion. Our standards of quality ensure that when you choose SilverShake. 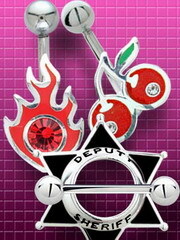 Com, you've already edited your selection to the finest Sterling silver jewelry.